C.W. 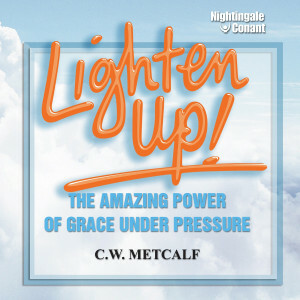 Metcalf is a highly successful and renowned author on the use of humor in stress management. For 22 years, he has consulted with hundreds of global clients, including IBM, Sony, Saturn Motors, The Mayo Affiliate Hospitals, and the Army Special Forces Training Center. He has taught at three major universities and pursued careers in writing, performing, advertising, and hospice volunteer work. His 'Humor, Risk & Change' seminars have helped corporations around the world. C.W. has appeared on the Today show and on CNN, and has been featured in the pages of The Wall Street Journal, The New York Times, and Reader's Digest. His message is based on research with crisis and trauma survivors who remain healthy, resilient, and creative under pressure. But, it was Mr. Metcalf's own life-and-death battles that inspired him the most. In both 1996 and 2002, C.W. proved that he practices what he preaches, as he overcame a less than 2% chance of recovery from brain surgeries. Those experiences revitalized his commitment to showing others how to develop the abilities that helped save and restore meaning to his life.